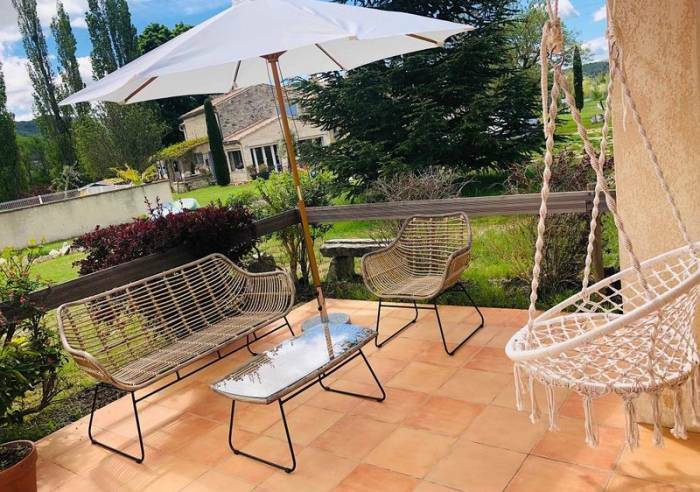 La Bastide des Bourguets offers 4 renovated fully-equipped gîtes for rental by the week, ideal for families or groups of friends. 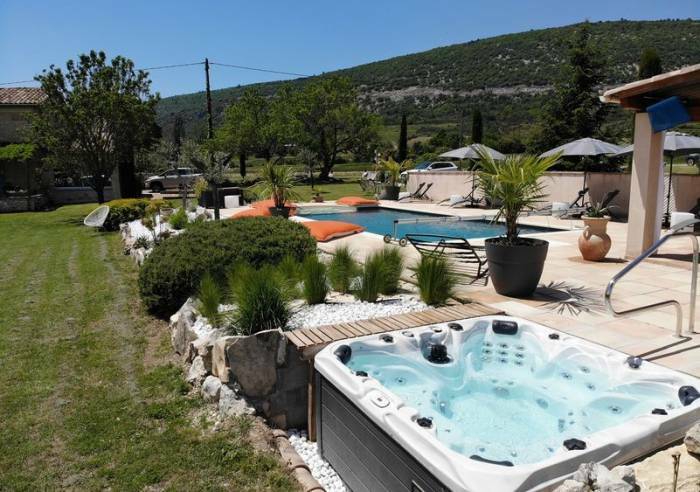 We also have a house 2 km away in a little Provençal hamlet near the village, which also offers all the services provided on the estate. 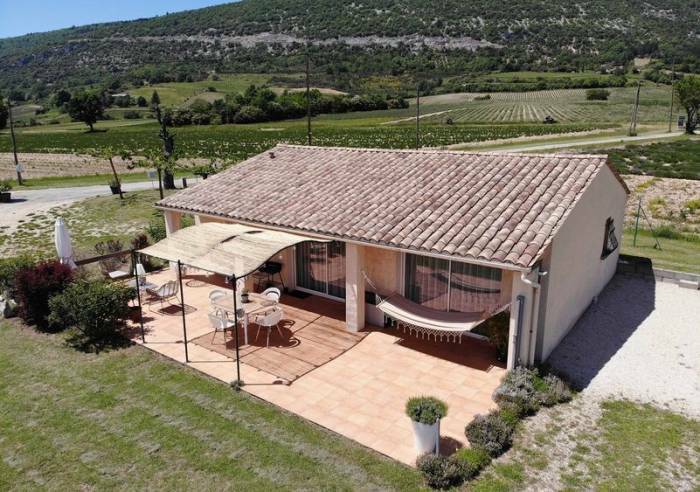 Gîte L’Amandier, adjoining La Bastide, has its own entrance and a glorious view over the lavender fields. It extends over 75 m2, with two bedrooms (one with 1 queen size bed, the other has 2 single beds), a fully-equipped kitchen and a shower room. Outside, guests have a private terrace with pergola, barbecue and garden furniture. 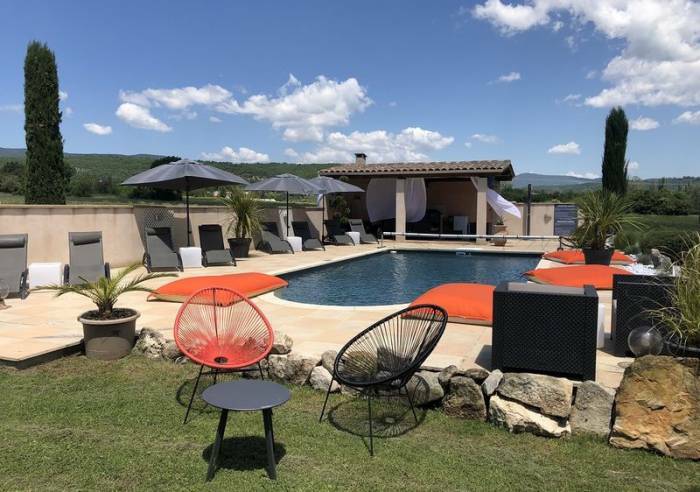 Gîte Les Lavandes is a detached house in a natural setting among the lavender fields, with a magnificent view of the village of Sault. It covers 62 m2, and has 2 bedrooms (one with 1 queen size bed, the other has 2 single beds), a fully-equipped kitchen and a shower room. Outside, guests have a private terrace with a pergola, barbecue and garden furniture. 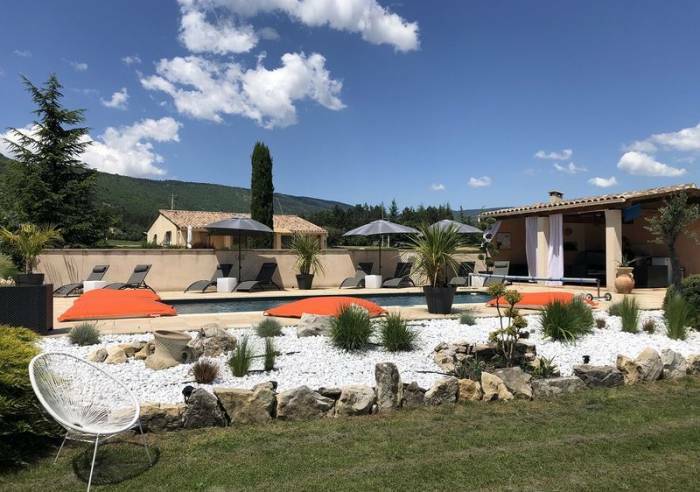 Gîte Le Mas is a thoughtfully-renovated and well arranged 18th-century house in a natural setting among the lavender fields, with a magnificent view of the village of Sault. 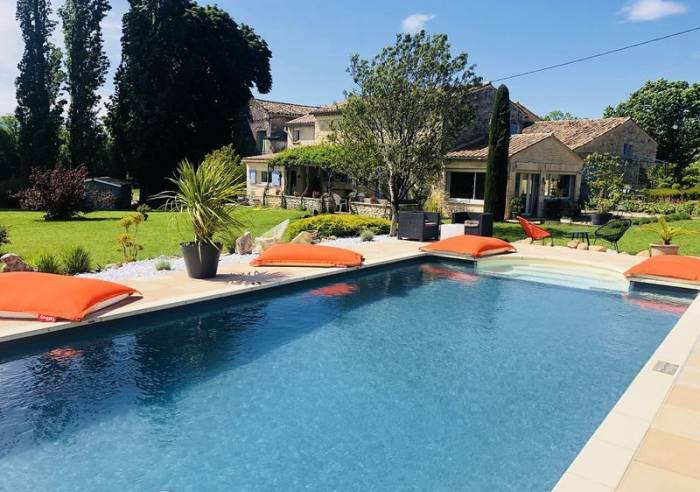 It covers 130 m2 and has 3 bedrooms (one with 1 king size bed, 1 with a 140-cm double bed, and one with 2 single beds), a fully-equipped Provençal kitchen and a bathroom. 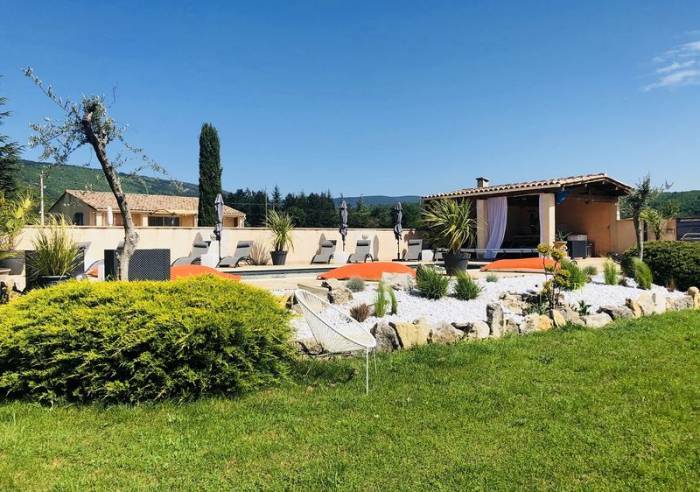 Gîte La Bastide de la Loge: an entirely renovated 90 m2 old farmhouse in a hamlet 2 km from the estate. 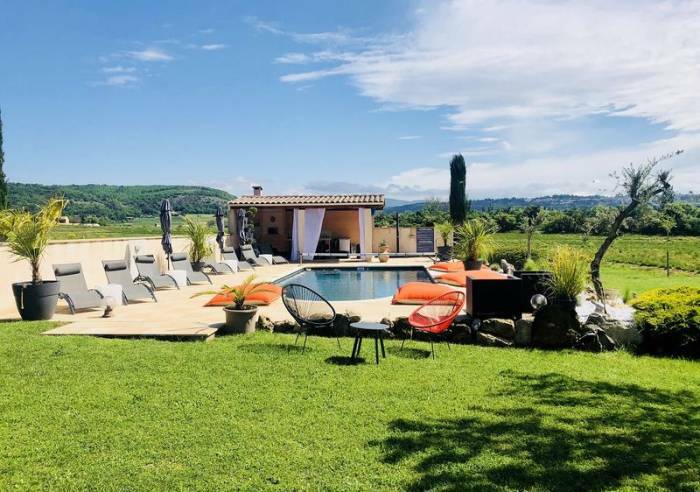 It has a fine view of the village of Sault from its terrace shaded by acacia trees, and offers 3 bedrooms (one with a king size bed, 2 bedrooms with 140-cm double beds), a fully-equipped kitchen and a shower room. It can accommodate 7 or 8 people on request. Bedlinen hire, Cleaning with supplement, Tourist routes, Tourist brochures, Tourist information, Linen hire, Repair kit.